o6 Ranch currently runs a cow-calf operation, dedicated to producing top quality Hereford and Angus-Hereford cross cattle. Many of the o6 calves are selected for the Certified Hereford Beef Program. The Ranch continues to work cattle on horseback the traditional way. 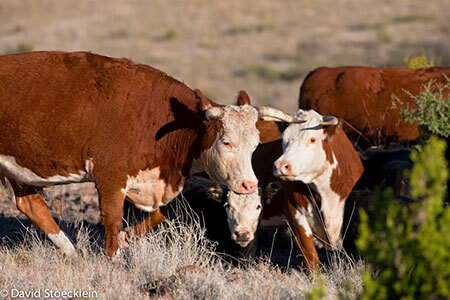 Round-up of cattle occurs twice a year in the Ranch’s extensive mountainous and high plains pastures. Each round-up lasts for about three weeks during which the cattle are gathered, sorted, branded, and shipped by an experienced cowboy crew. Want more information? Thank you for visiting our site and learning more about our program. If we can assist you with learning more about our cattle please contact our ranch manager Chris Lacy at chrislacy@rionet.coop.